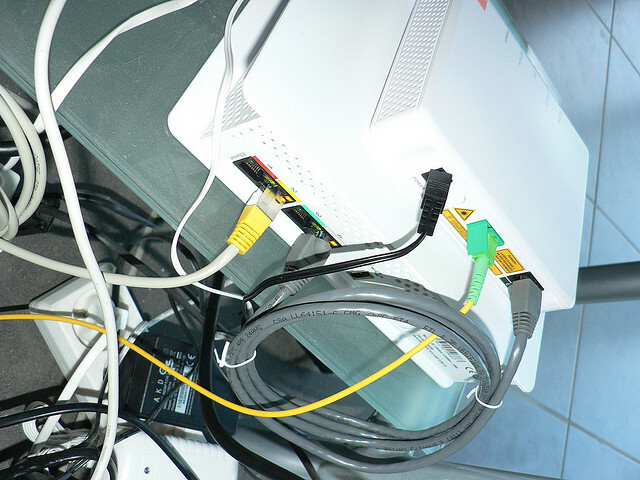 Everyone’s broadband user profile is different and, therefore, there are a multiple set of broadband packages available among different providers. All of the main providers seek to offer light, medium, and heavy usage packages to attract different types of clientele to their broadband. It is important that you get the speeds and data allowances that you need in order to have a flowing internet experience. The alternative can be a lot of frustration. For many, a light broadband package would be sufficient. Those that spend most of their time browsing and emailing probably don’t consume that much data. Around 60 hours of browsing the internet will consume 1.5 gigabytes of data. Therefore, a 10 gigabyte per month package may well suffice for people with this user profile. What constitutes a heavy user? The first thing to recognize is that any data that you take from the internet or put up to the internet will be consuming data allowance. Activities that require big files will consume more data. Naturally, different films and different files will consume different amounts of data, but here is a general guide to some of the heavier activities. There is a whole band of people who download files from file sharing websites. Torrent services have files from a few hundred kilobytes all the way up to 5 gigabytes and more. Using these services can mean massive consumption of data. For example, if you were downloading a free art package for a web design, business or hobby, you could be downloading 3 or 4 gigabytes of data in one go. If you are a subscriber to one of the many subscription-based movie download services, you will likely be consuming a great deal of data in your package. One high definition movie can consume up to 3, 4 or even 5 gigabytes of data. It doesn’t take many of those to qualify yourself as a medium or heavy consumer. Certainly, several movies a week classify you as heavy. If you engage in streaming activities, you will likely to be consuming heavy amounts of data. Services like YouTube have standard definition and high definition movies through which 1 hour of streaming could consume between 250 megabytes and 2 gigabytes of data. Watching catch ups and going on YouTube journeys really do take their toll on the user allowance. Gaming doesn’t normally consume that much data per say. However, buying games from Steam and online services and are downloading additional content on an ongoing basis will strain your download limits. If you are plugging in your console, you could find yourself using an awful lot of data very quickly. Most people can gauge whether they are a heavy broadband consumer or not. If you are in this category, then there are certain things you should be looking for. Regularly consuming large amounts of data will be frustrating if your connection is not up to the task. Waiting around for a stream to buffer and then waiting for the performance to improve when you get a break in the stream can be incredibly frustrating. Broadband on fibre optic cable is between 30 megabytes and 120 megabytes per second these days. It tends to be more reliable than ADSL, and provides the opportunity to get really impressive internet performance on most high consumption activities. It is certainly much better than the old copper wire, which has itself improved with ADSL2. Nowadays, fibre is relatively cheap especially when bundled together in a package. The major providers such as PlusNet, Talk Talk, BT, Virgin media, and Sky all offer broadband packages on fibre services. The best way to find the best for you is to do a post code checker of your area and see which are best performing and available in your area. Heavy consumers should be mindful that unlimited broadband is not always unlimited. Many of the broadband providers have a fair usage cap which for some is around 40 gigabytes per month. In terms of high definition movie streaming, this is not a lot. Eight movies a month could hit that cap. With multiple people using the same broadband service, this is a very realistic consumption for just one week. When you are choosing broadband, it is important to look at the actual limit you will get. If you want unlimited broadband, then choose the provider that provides truly unlimited such as Sky or BT. Each and every consumer is somewhat different and it is important to get the right blend of price and performance for your particular circumstances. PlusNet broadband has won awards for their service, as has Zen Internet. However, if you want the fastest broadband, you will probably be looking at Virgin. If you are looking for the best gaming broadband, you may be looking at B broadband. It really is down to what you use the broadband for, and what your budget is each month. On top of this, of course, it is important to know what is available to you in your area. You may be able to get Sky fibre optic broadband, but not BT Infinity. So, do a search online and find out what your neighbours use as well. Make sure that you read the advertising messages from internet service providers very carefully. Recent guidelines have increased controls on ISPs, but there are still a lot of ways that they pull the wool over the eyes of their customers. Look out for hidden costs, such as line rental not included, additional data usage fees, fees for non direct debit payments, technical support charges, router costs and so on. These can make transform really good value broadband packages into something far less impressive. When he was looking for good value broadband packages, Phil Turner weighed up all his options. He found that sites like uSwitch.com were really helpful in getting a great deal.